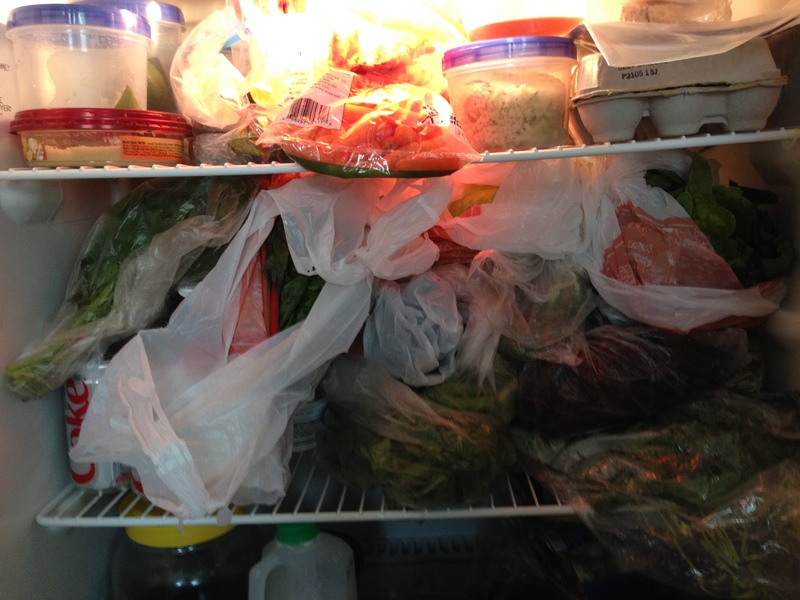 It’s tough to see, but every one of those bags has some sort of green leafy thing in it, we’re trying to keep them, fresh. Seems to be working! Now, Chad is the first to tell you he isn’t much of a greens person, but he has embraced kale since moving into this apartment, and also helped out by putting two leaves of red oak lettuce on his sandwich today. Good job Chad! 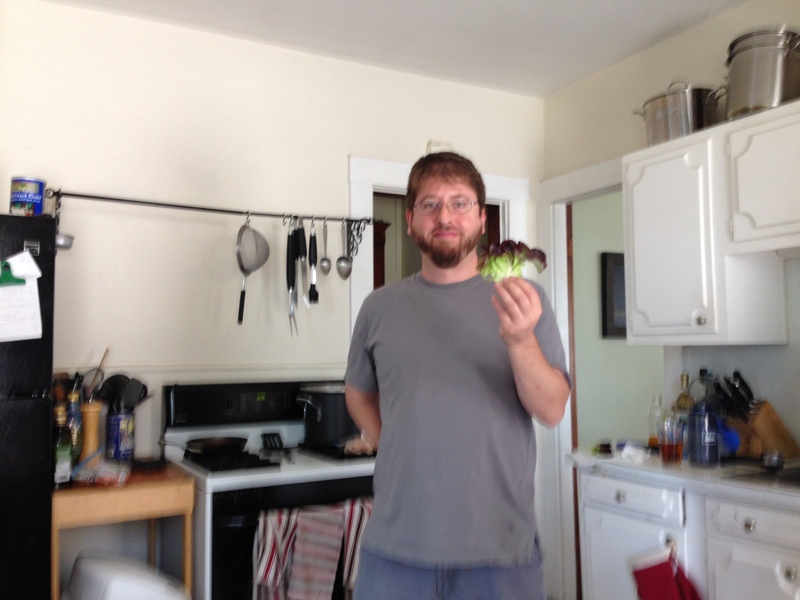 Here’s a slightly blurry shot of Chad with his lettuce leaves. Every little bit helps! On Saturday, all three of us happened to make our own version of ramen. Now at this point, you’re probably saying to yourself, “ That’s nice Jackie, but what does noodle soup have to do with the CSA greens issue you are supposed to be addressing?” Fair question. 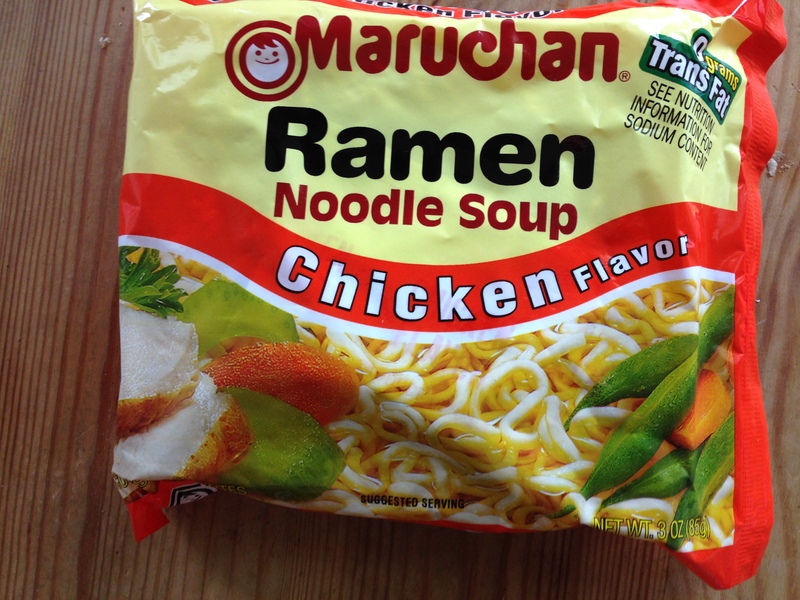 Ramen, it turns out, is not meant to be a just large portion of noodles in chicken broth, though college students and sick people everywhere are perfectly happy to have it be exactly that. No, this beloved dorm-room staple is actually supposed to be a base for nutritious and interesting meals with lots of vegetables and possibly some meat if you’re feeling frisky. As a matter of fact, let’s have a look at the package. 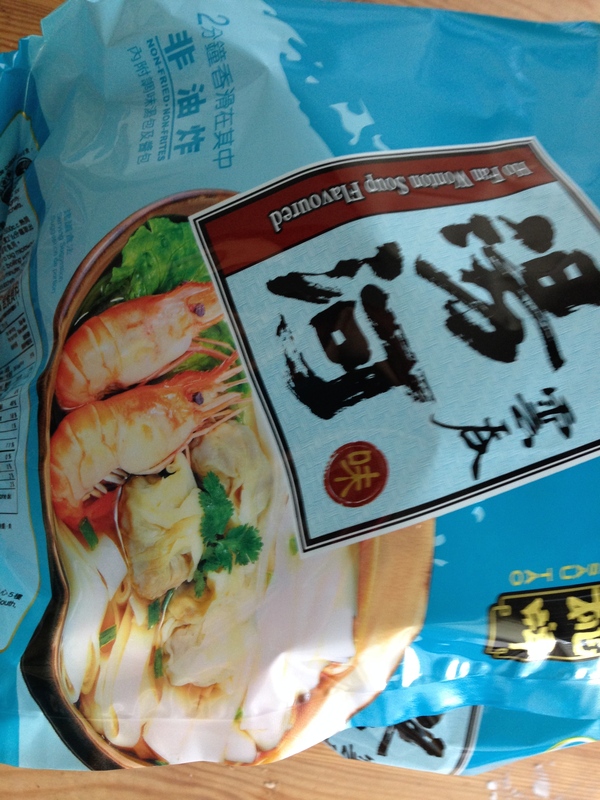 This pack suggests dumplings, prawns, and more. You can barely even see the noodles. And that’s what we were all doing this Saturday. Here is my version. It includes the red kale we got this week, the sugar snap peas, mushrooms, zucchini, sautéed onion, and red pepper flakes. Shae went with something similar. Chad got a little fancier by adding some shrimp. 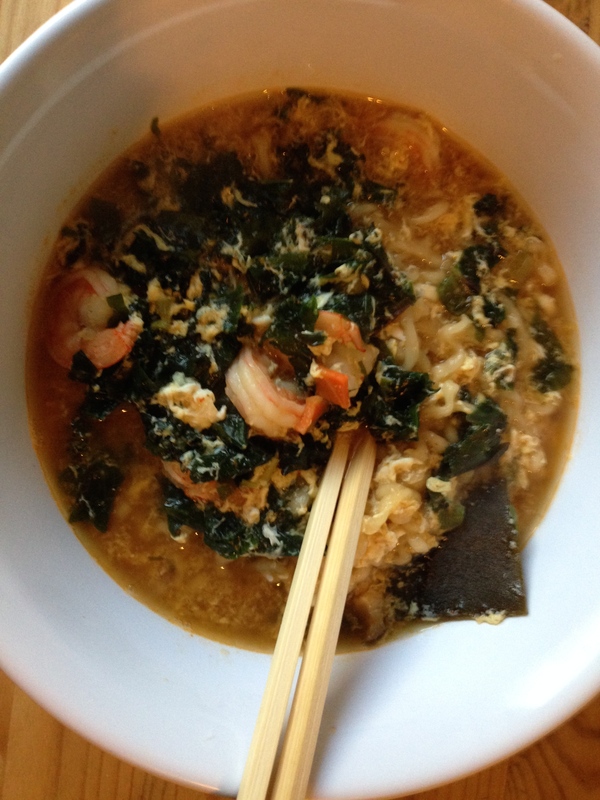 And he actually augmented the broth by boiling the shrimp shells in the water for a bit before adding the spice packet and other ingredients such as kale, seaweed, the aforementioned shrimp, and egg. Though Chad’s version had a couple more steps, the basic concept is simple: you just cut up whatever veggies you like to have in soup and add them to the boiling water along with the noodles. Seriously. 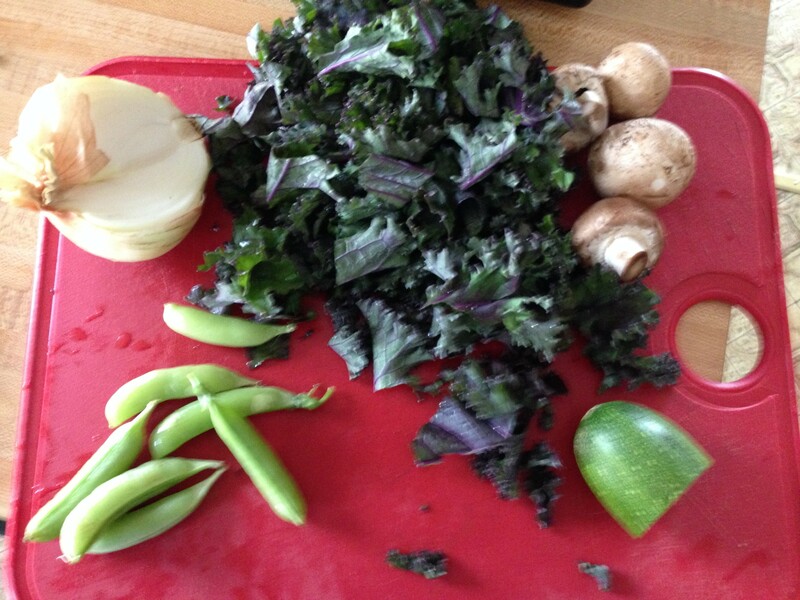 I chopped these things up while waiting for the water to boil. So fast and easy! The three minutes or so it takes the noodles to cook is just enough to make the kale edible but not limp, and all the other veggies pleasantly al dente. These meals are cheap, delicious, filling, and genuinely nutritious. Yes, there is a lot of sodium in those glorious little flavor packets, but the rest of my diet is generally low-salt, so I’m not going to worry about it. I highly recommend dressing up some ramen next time you have a soup craving but want it to be ready in ten minutes or less! 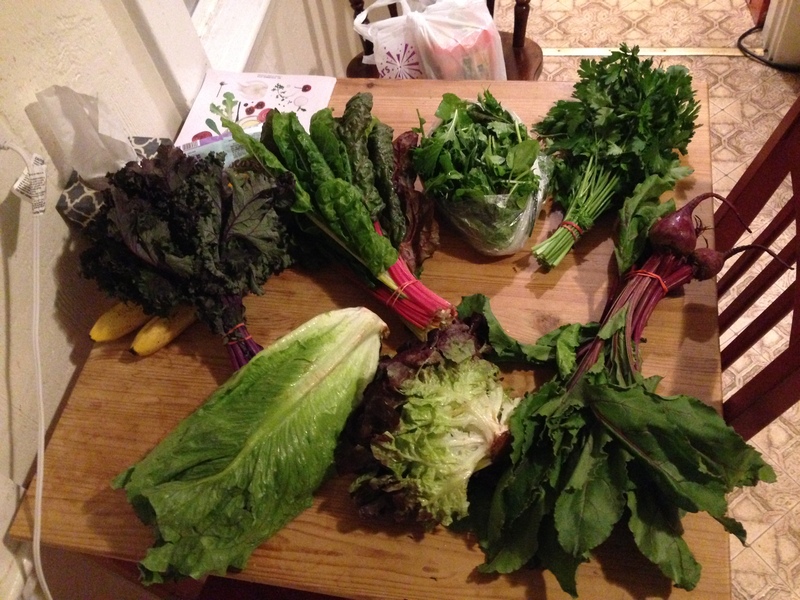 Beet greens are usually a little muddy, so rinse the greens thoroughly to get rid of all the grit. I’ve read several places that dunking and rinsing them in a bowl of cool water that you empty and refill three times is the best way, and it has definitely worked for me when I’ve done it. Some say to blanche them next, but I have tried them with and without blanching and haven’t noticed it making a difference, so that step is out. I do in fact sauté them until they have just wilted, but then add a simple dressing: Oil, lemon juice, diced onion, chopped tomato, salt, pepper. Sometimes I sauté them with garlic, sometimes I leave the garlic raw and throw it in the dressing. It comes out delicious. A bunch of beets will yield enough greens for two pleasant side portions, or one bowl just at the edge of too much for one person. 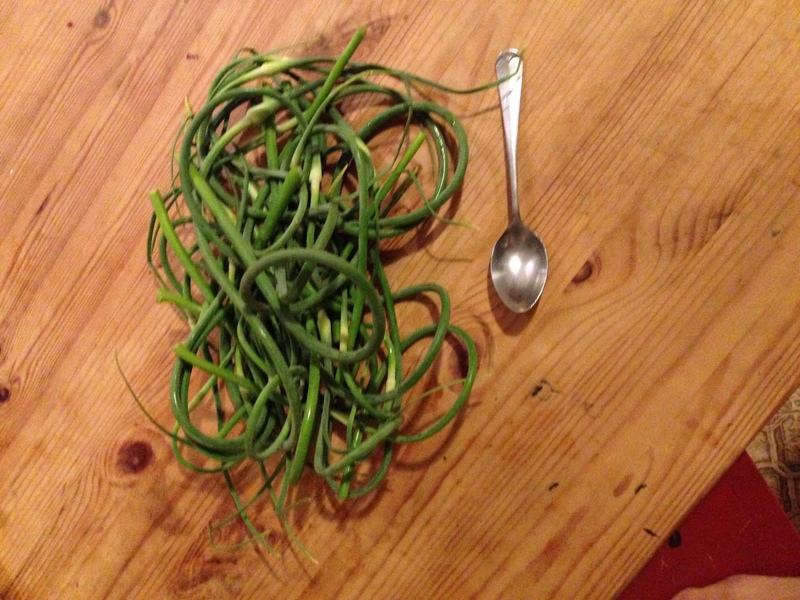 Next up will be my adventures with coddled eggs and our communal Sunday dinner garlic scape escapade! This entry was tagged Beet greens, CSA, kale, Ramen. Bookmark the permalink. 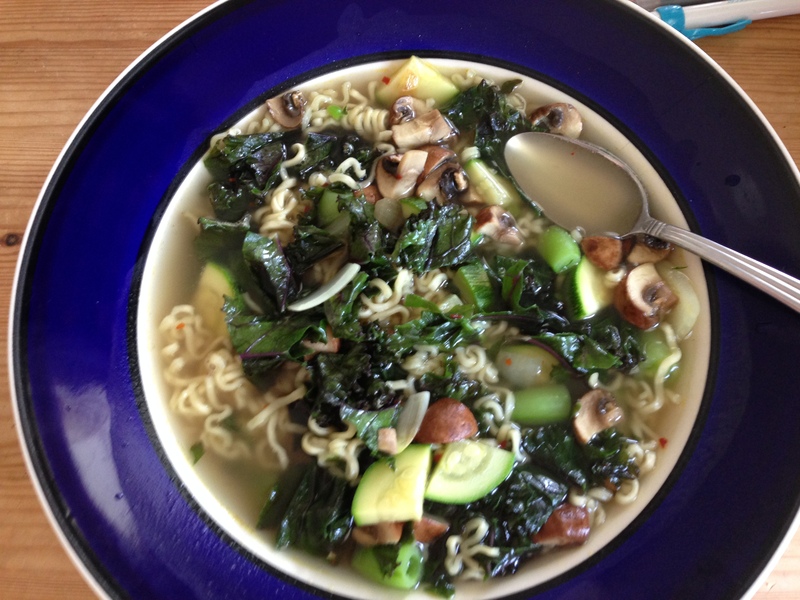 The I didn’t think of ramen when we were overwhelmed by greens, cool idea. My favorite use for the thicker greens (beet greens, chard, collards) is to sauté them – with bacon if you aren’t a vegetarian! I am a huge fan of meat, so I can’t believe I’ve never thought of throwing some bacon in while sautéing greens. I’ll definitely try that next time, thanks for the idea!